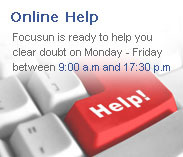 Vacuum cooling system：Focusun – professional manufacturer and supplier of refrigeration equipments. Vacuum cooling systems are suitable for ready meat with the cooking operations, which can considerably shorter the cooling process, and therefore, inhibit the micro-organisms proliferation, extend the storage and shelf life and improve product quality and safety. Application: Steamed, boiled, fried and baked food, such as ready meat, soy products, fast food, bread and so on. Rapid Cooling: typically 10 – 15 minutes to reach normal atmospheric temperature; 25minutes to reach 10 ℃. 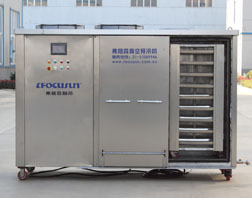 Uniform Cooling: For vacuum cooling, the effect that package will affect cooling rate is negligible. Clean and sanitary: in vacuum circumstances, effectively sterilize the products, inhibit the micro-organisms proliferation, and also prevent the cross-contamination. Easy to operate: pressure sensor controls the cooling system and vacuum system. Equipped with remote control and monitoring equipment facilitates the operation and quickly resolves equipment failures.